British Tennis star Andy Murray has announced that for every ace he hits until the end of the year, he will donate £50 to UNICEF, the world’s leading children’s organisation. Each ace Andy hits will support Unicef’s work to help children whose worlds have been turned upside down by conflict or disaster, such as those caught up in the current refugee and migrant crisis. 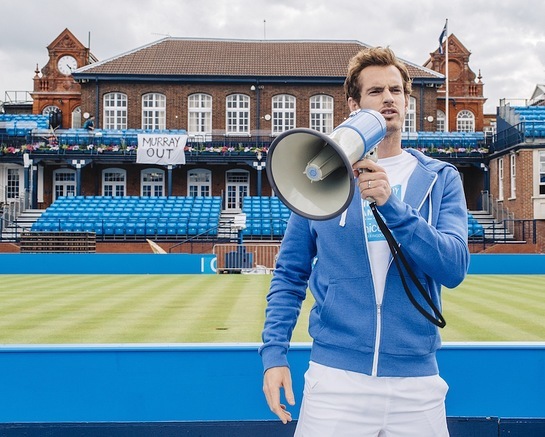 Tennis fans across the world can join Andy in supporting Unicef’s work by donating online here or those in the UK can donate £5 by texting ACE to 70800. Standard Life, one of Murray’s partners, along with the ATP and LTA have all announced that they will match Andy’s donations pound for pound. That means every ace will result in a donation of £200 for Unicef’s life-saving work with children affected by conflict and disaster. Text ACE to 70800 to donate £5 or click here.